Esmark Sports Management is a wholly-owned subsidiary of Esmark Inc., and is engaged in developing and supporting youth and recreation programs, childhood development and education of children’s issues such as obesity prevention. 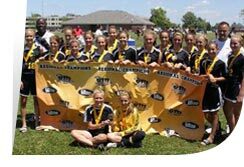 Esmark sponsors the FC Pittsburgh Soccer Club. The Bouchard family founded the FC Soccer Club with a $250,000 grant for youth soccer development and has contributed more than $300,000 toward the program. More information about the FC Soccer Club can be found at www.fcpittsburgh.com. Esmark takes great pride in the baseball fields at Bouchard Family Park. The Bouchard family committed more than $1 million to the Quaker Valley Recreation Association in Sewickley, Pennsylvania, for the construction and ongoing maintenance of a sports complex and administration building that includes 14 playing fields for Baseball, Soccer, and Lacrosse. Esmark donated more than $500,000 to build Esmark Field at Bouchard Family Park. 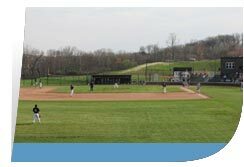 Esmark Field is a state-of-the-art complex and home to the Quaker Valley High School Baseball Team. Esmark Field at Bouchard Family Park supports over 1,200 Western Pennsylvania youths and their teams. The company’s commitment to youth sports and recreation also extends to local and regional organizations in Pennsylvania that provide a variety of recreation programs to at-risk kids and their families. 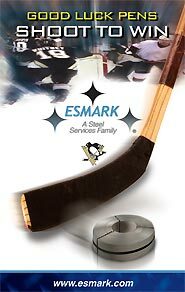 In addition, Esmark is a Premier sponsor and supporter of the NHL Pittsburgh Penguins and sponsors the Pittsburgh Viper Stars’ National AAA Youth Hockey Team. The company is also a proud sponsor of the Imani Christian Academy Basketball Program and the Quaker Valley Youth and High School Hockey Program. Congratulations to the Quaker Valley Hockey Team – 2012 Penguins Cup and Pennsylvania State Champions! ©2013 Esmark. All rights reserved.